Todays theme for The Daily Post’s Weekly Photo Challenge is Up. I have stood at the foot of quite a few tall towers, and mostly, thats where I stay. 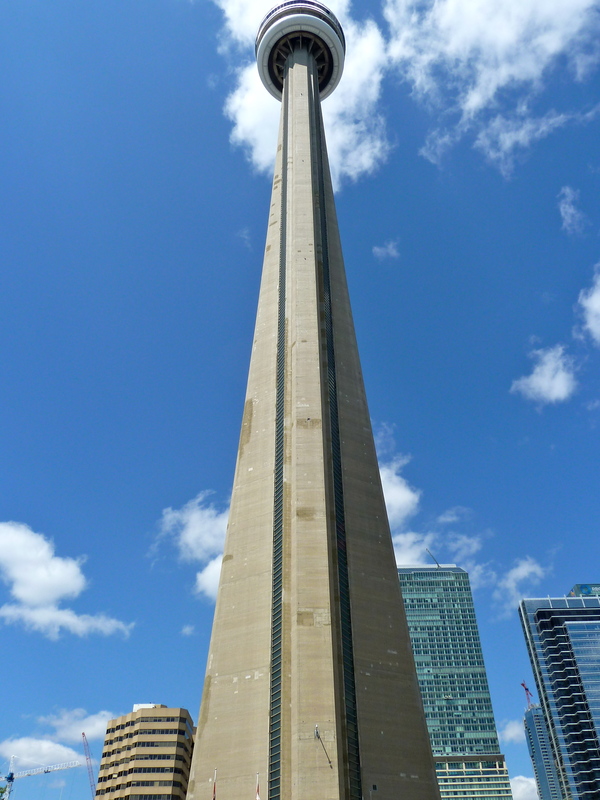 So when I heard the word Up my thoughts went to the one tower that I did go up, the CN Tower in Toronto Canada. Its very up. Way up. After 20 minutes happily experiencing being Up in the donut shaped viewing tower, a new word began to press upon my consciousness with increasing urgency. DOWN. See more images of the CN Tower here. This entry was posted in Canada and tagged Canada, CN Tower, Daily Post, photography, postaday, Toronto, Tower by LindaMay. Bookmark the permalink. One certainly feels small when looking up[ at this tall tower! That’s funny! I think I’d feel the same way.